Truth be told, I loveeeeee Valentine’s Day. It has always been my favorite holiday, probably since I was 8 or 9 years old. And no, I didn’t have a boyfriend back then, it was just a special thing that my mom started way back when for me and my sister. We’d get a pair of Valentine’s Day fuzzy socks (with conversation hearts or cupcakes or X’s and O’s on them) and whatever candy we loved in their pink, red, and white V-day-specific iteration. It was adorable and it kind of set a mother-daughter precedence for me welllllllll before I had a clue about Galentine’s Day. To quote Leslie Knope, “February 14th, Valentine’s Day, is about celebrating romance. But February 13th, Galentine’s Day, is about celebrating lady friends!” And what better way for a bride to do it than with G-day gifts with built-in bridesmaid asks? 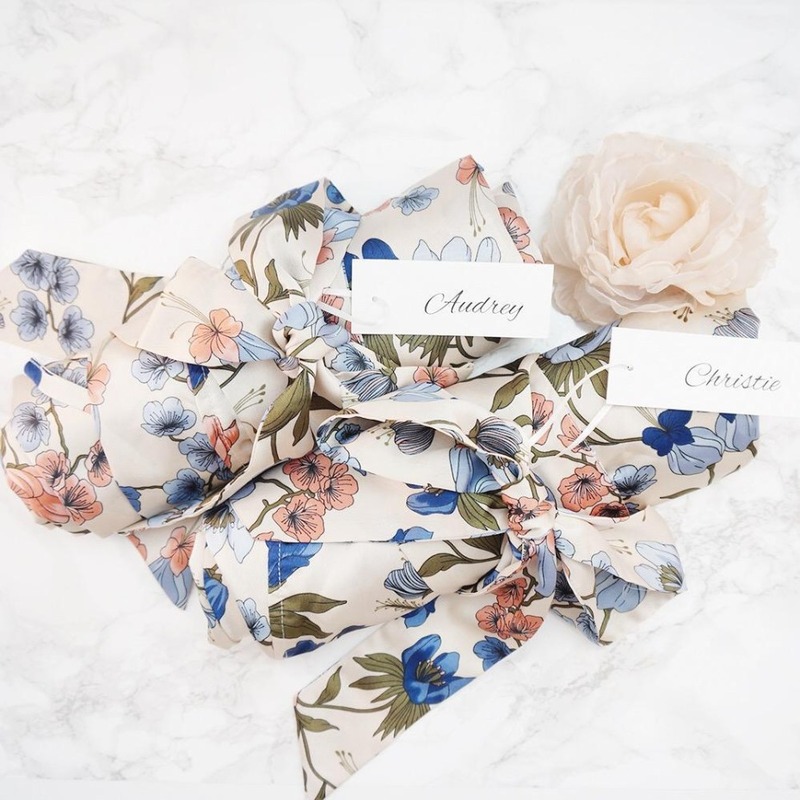 We caught up with Love+Peony, a brand that’s known for their bride and bridesmaid robes, garters, and gift sets, and they couldn’t agree more!! In fact, they might just go ahead and make this bridesmaid proposal day a national holiday…. 😍😍😍. That’s right. ALL the heart eyes. 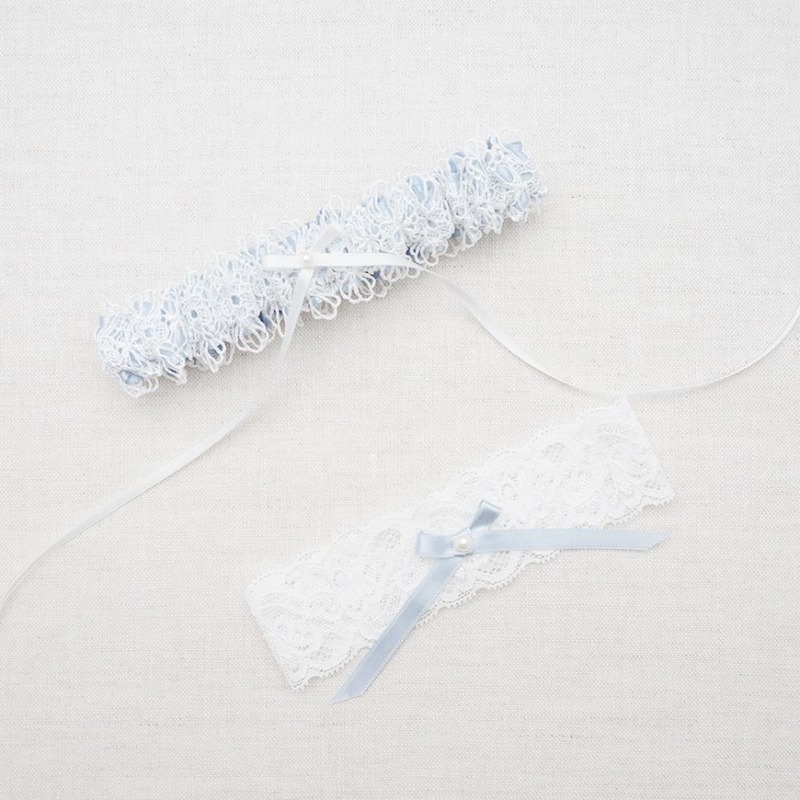 Love+Peony specializes in bridal robes, bridesmaid robes, and wedding garters. Their products are made in small quantities using high-quality fabrics, and every product is individually-handcrafted and packaged with detailed care and attention. And for a holiday like Galentine’s Day, that extra TLC really counts. So what’s the recipe for a perfect bridesmaid proposal? Okay, well, having all the girls together at the same time is a great way to start. That’s why we recommend scheduling the Galentine’s Day get together well in advance ((a few weeks’ worth of lead time works, especially if your squad is local and you can send online invitations!)) - and hey, no one can be suspicious of you scheming, since Galentine’s Day is already meant to be a group-oriented occasion. Next, you’ll need to scout out a venue for it all to take place. If you can host on your own turf, it can make things a whole lot easier (logistically) and less expensive. Plus, it’ll make the morning, afternoon, evening that much more intimate and special! Then, consider curating a fun menu of sips and snacks to serve everyone. Champagne always does the trick, as does mini anything - pastries, petit fours, cupcakes, macarons, all the sweets. And when the moment is right. Get down on one knee… nope, kidding, that doesn’t need to happen. But you’ll definitely want to have some sort of segue prepared to get out your gifts and lead into the most important ‘ask’ of the day. We know exactly what you’ll want the girls to open. 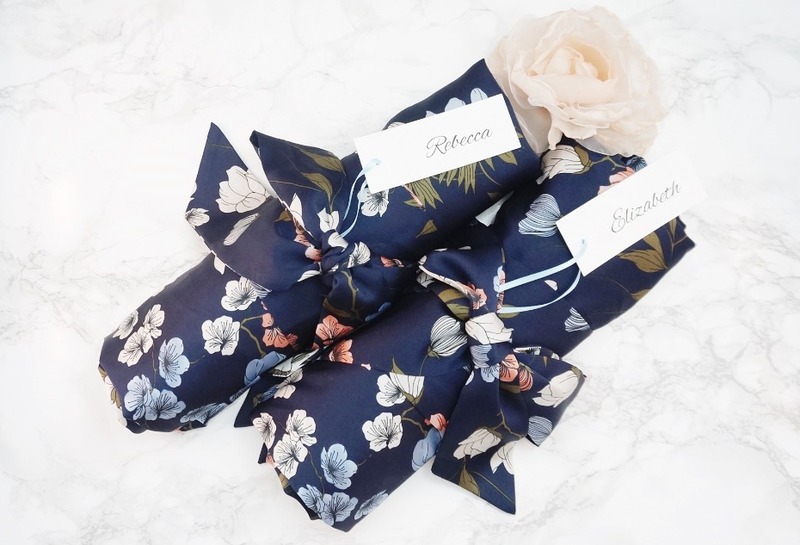 A perfect bridesmaid gift box in matte ivory finish, complete with the floral robe, crinkled papers, and a satin ribbon with your choice of color. How cute is this? Couldn’t you imagine your own crew just gushing with excitement over being asked to stand beside you on your best day? And Love+Peony has several different robe offerings - floral robes, lace robes, and kimono (+ lace kimono) robes - all of them stunning! We’re obsessed with this idea and so were these brides! "These robes are beautiful and high quality. I was very impressed with the quality as I feared ordering robes online they would be cheap looking in person. These are not! They are soft and silky and flattering. They were kind enough to add name tags to each robe for no additional cost. They also arrived to me FAST!! I can't wait for my bridesmaids to wear them. 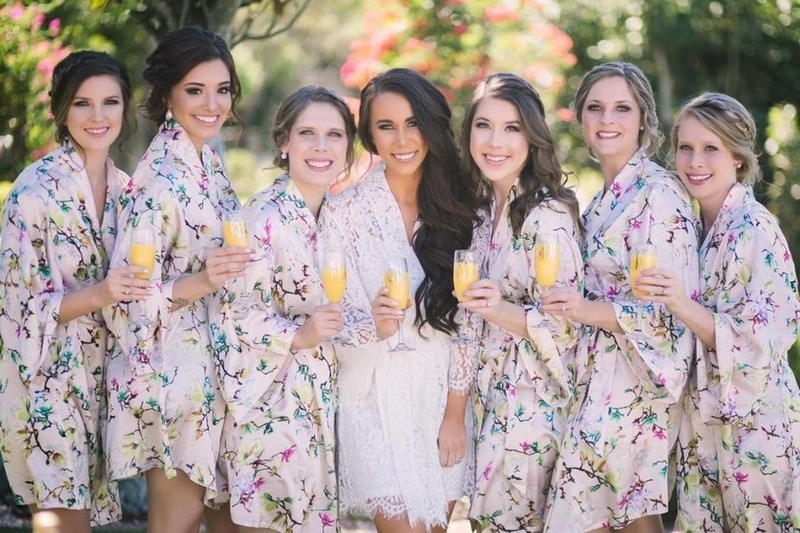 Also, the print on the robes is gorgeous and unique- unlike the typical bridesmaid robes you see often! I love that these are something a little different!" "Beautiful quality robes, and I love that the pattern is totally different from what you usually find out there. I'm so excited to gift these to my bridesmaids next month!" Get shopping for your girls!! And if you’re ordering after Galentine’s Day, absolutely no worries, the robes make a killer gift ANY TIME OF YEAR and show all the appreciation your girls will love ((plus, below discounts for more incentive)). We partnered with Love+Peony to bring you all this getting-ready gorgeousness (and a fun idea for Galentine's Day)! As always, thank you for supporting our sponsors!